Billy Loves Audrey socks and tights for cute (and cosy) feet! Be still my adorable accessory loving heart. Generally speaking, not a lot of thought goes into the kids sock drawers. Let me make it abundantly clear, that’s all about to change thanks to Billy Loves Audrey. 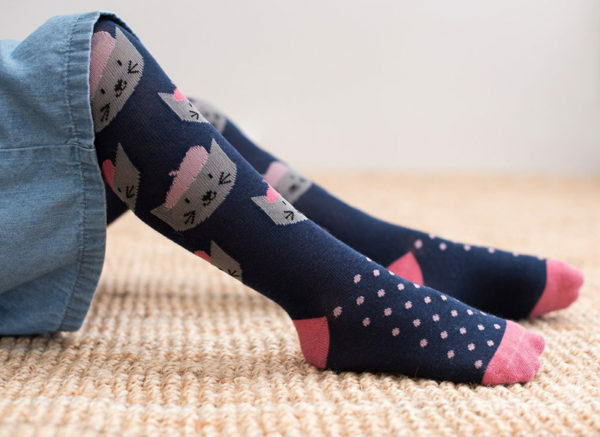 French cat, mouse fairy, rabbit and even magical unicorns – they’re just a few of the stunning tights designs available from Billy Loves Audrey. Made from a rich cotton blend, they’re perfect for autumn and winter wear. For lads and lasses that prefer a sock, boy are they in for a whimsical, foot warming treat. 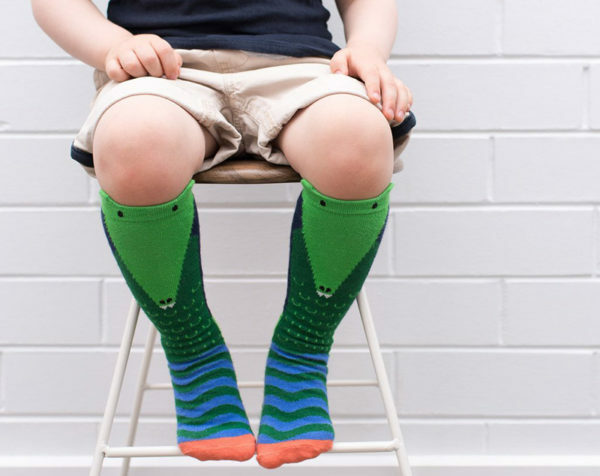 Crocs, dinos and sharks all stand out in a menagerie of beautifully bold animal socks. 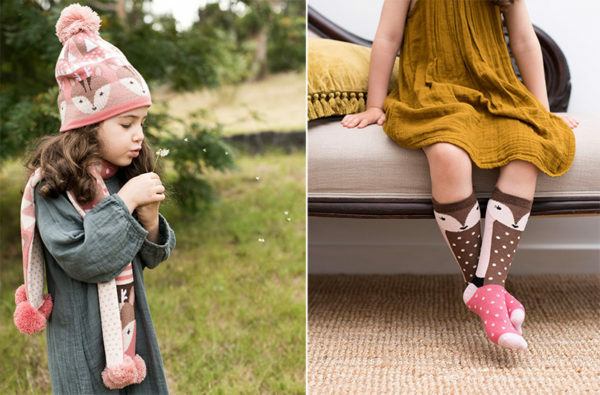 Moving beyond the feet, Billy Loves Audrey also make the most magnificent knit beanies and scarves, be sure to find a way to work them into your kid’s winter outfits! Tights are priced $28 and socks $20, both are available in sizes to fit kids up to six-years-old. Order direct from Billy Loves Audrey.